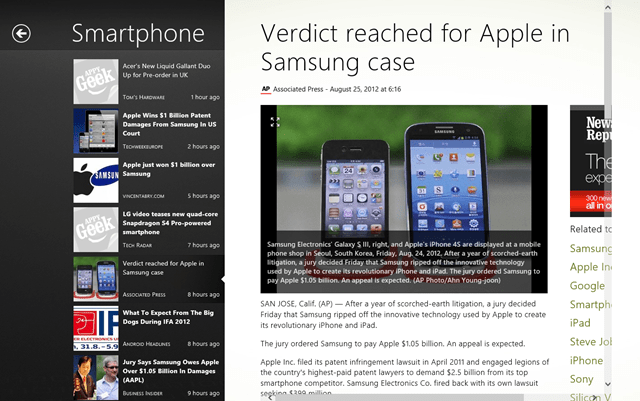 Appy Geek is a free Windows 8 articles app which will let you explore 1000s of articles and news related to newly invented gadgets and gizmos. 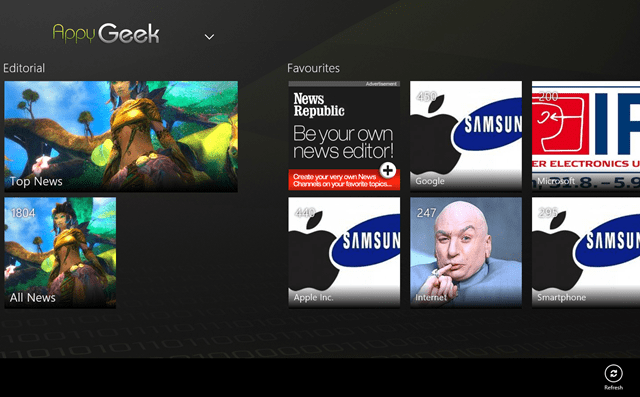 This app for Windows 8 lets you know about various innovations in the world and will let you read about each and every discovery in the world. You can browse through various geeky articles related to gadgets and gizmos. You can search everything from smart phones to Internet, from Apple iPod to latest video games. As I have told you, it’s a place for the real geeks. So, now you can browse the whole world of technology and fun at the same time. Just click on the article, you want to read and it will be in front of your eyes. You can also read it in detail with the help of your default browser. You can read the editorial by just clicking on any of them and can view the editor’s choice by yourself and can get all the information you should know. 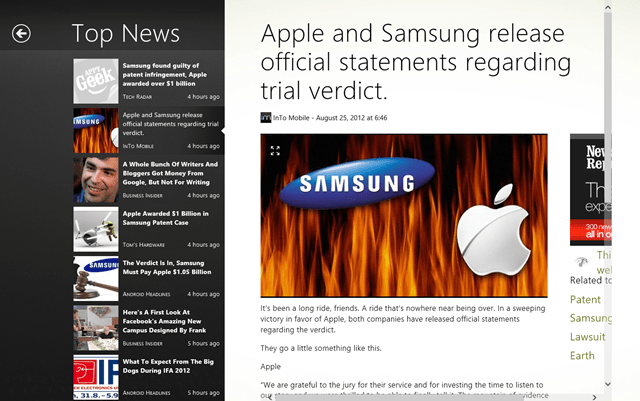 Read out whatever you like here at this Windows 8 articles app and can also choose your own category. This is how the articles look like. They are easy to read and understand with recent technologies, gadgets, events etc all on your fingertips with the help of this little app for Windows 8. These are some of the categorized topics you can browse through like Internet, Smartphone, Apple Inc, Microsoft, Video Games etc. over this Windows 8 app. These are some of your favorite topics you will actually appreciate. So, you just have to install this little Windows 8 articles app and doodle around the technologies you want to with this app for Windows 8.